Applications are now invited for a Postdoctoral Research Assistant with experience of bioinformatics to work on a research project exploring the mechanism of action aspirin in cancer prevention. This post will be based in the Centre for Cancer Prevention, Wolfson Institute of Preventive Medicine within the Barts and The London School of Medicine and Dentistry, Queen Mary, University of London. We have recently received significant funding from a Cancer Research UK Catalyst award for the Aspirin for Cancer Prevention Project (AsCaP) which is an international, multi-disciplinary collaboration with 9 partners (including Harvard, Rome, Edinburgh, Heidelberg, Chieti, Newcastle and London) to establish a partnership between population researchers and basic scientists to study the role of aspirin in cancer prevention and adjuvant treatment. We are looking to add a Bioinformatician to a high-performing group focusing on bioinformatics, data science, statistics and epidemiology to support research to explain the mechanisms of aspirin in cancer prevention. This is an important project to understand who is likely to benefit most from taking aspirin and who is at greater risk of bleeding side-effects. 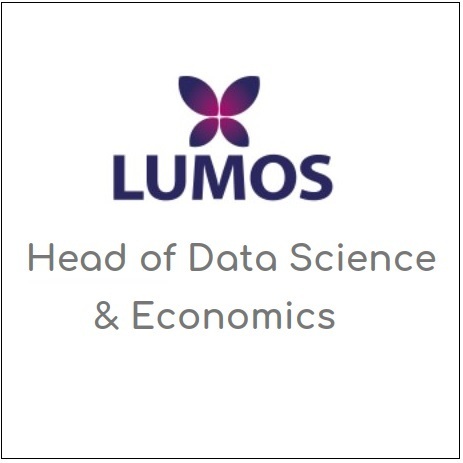 Applicants must be educated to PhD level and have experience of analysis techniques appropriate to large scale NGS datasets. Applicants should have a high level of statistical and computational proficiency using appropriate bioinformatics software packages to process data (e.g. R, Stata). The post-holder will be expected to take an active role in the analysis and modelling of both publicly available (e.g. online or UK Biobank) and local NGS datasets (including large Aspirin clinical trials). Key techniques are likely to include development of bioinformatics pipelines, building multivariate risk scores, and assessing potential causal relationships. The post-holder will be expected to carry out analysis of study results in collaboration with Unit statisticians and write up the results for publication. The appointee must have excellent organisational, written and communication skills. They must have the ability to apply extensive working knowledge to address complex problems and challenges and have a comprehensive understanding and working knowledge of governance and legislation for the conduct of research (including GDPR). We are particularly seeking applicants who will forge a pathway to personal independence. The post is full time and fixed term for 36 months. Starting salary will be in the range £33,615 - £39,483 per annum inclusive of London Allowance. Benefits include 30 days’ annual leave and pension scheme. The Centre for Cancer Prevention requires applicants to provide all certificates at interview to confirm their qualifications (as specified in the Job Description). Informal enquiries should be addressed to Dr Belinda Nedjai, Senior Research Fellow: b.nedjai@qmul.ac.uk. Details about the institute can be found at https://www.qmul.ac.uk/wolfson/centres/ccp/. The closing date for applications is on 28 April 2019. Interviews are expected to be held on 8 May 2019. Valuing Diversity and Committed to Equality.